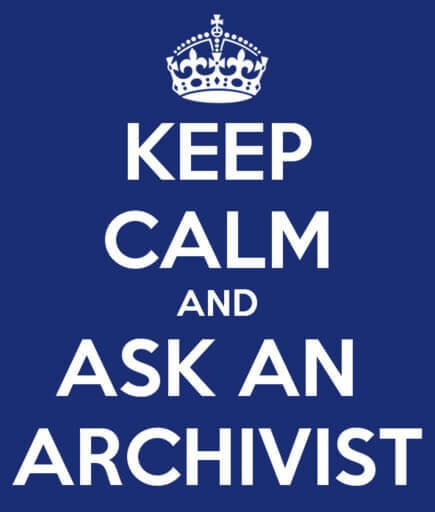 ﻿We recently had #AskACurator Day which is more for museums, but now it’s the archives and archivist’s turn. 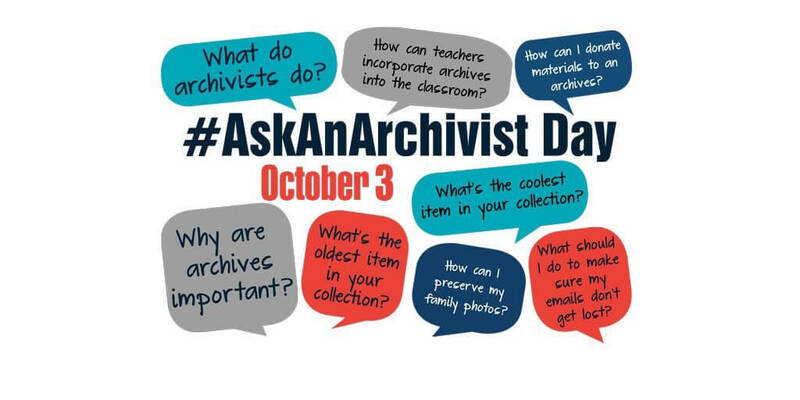 #AskAnArchivist Day is a Twitter chat day that has been running for a number of years, and is organised by the Society of American Archivists. 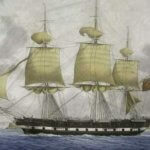 But don’t let the name fool you, as is has become a global event – and at least one Australian archive (@srnsw) is participating … but hopefully more. 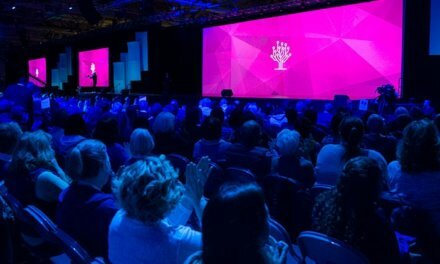 – Break down the barriers that make archivists seem inaccessible. – Talk directly to the public (via Twitter) about what you do, why it’s important and, of course, the interesting records with which you work. – Join with archivists around the country and the world to make an impact on the public’s understanding of archives while celebrating American Archives Month! – Interact with users, supporters, and prospective supporters about the value of archives. – Hear directly from the public about what they’re most interested in learning about from archives and archivists. So how does it work for organisations? On October 3, archivists around the world will take to Twitter to respond to questions tweeted with the hashtag #AskAnArchivist. Organisations can take this opportunity to engage via your personal and/or institutional Twitter accounts and to respond to questions posed directly to you or more generally to all participants. Questions vary widely from the funny through to the thoughtful. So #AskAnArchivst Day is a win win day for all. Organisations get to promote their archives and holdings, while individuals learning about what’s held where, or archive practices and other aspects of archiving. and join the tweet up.